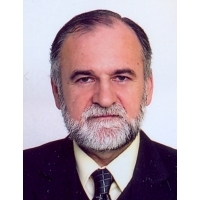 Branislav Djordjević began writing haiku poetry in 1991. His haiku have been published in a number of magazines, collections, and anthologies in his country and abroad (including but not limited to Japan, the Netherlands, India, Great Britain, Croatia, Slovenia, Bulgaria, and Russia). He is one of the founders of the Traveling Haiku Fellowship. Ordinaire (Punta - Niš, Serbia, 2008). A raven on the snow. Credits: "A silver moonlight" - Prize, Genkissu! Spirits up! (Aichi, Japan, 2008); "There's no shadow" - Haiku Page, Balkan Haiku 2:1 & 2 (Spring 2009) [Editor: JQ Zheng]; "an old woman" - Wild Flowers, New Leaves: A Collection of World Haiku (The World Haiku Club - edited by Susumu Takiguchi, Ami-Net International Press: England, 2002); "Detonations" - The 34th A-Bomb Day Memorial Haiku Meeting, September 3, 2000 (Japan); a variation at Xaiku Balkany (http://xaiku.com/extra/balkany/balkany.htm?29); "A lost evening shadow" - moonset Literary Newspaper (editor: an'ya: Spring-Summer 2009); "fish scale shine" - Haiku Reality Internet haiku magazine (editor: Saša Vai 3;).